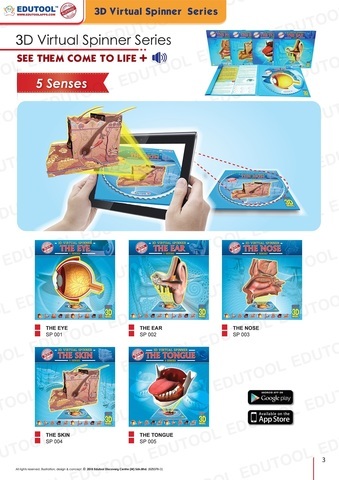 The Edutool App&apos;s 3D Virtual Spinner series uses Hands-On Virtual (HOV), also known as augmented reality, to take students into amazing 3D learning environments. Bring complex anatomy models into your classroom and examine them in detail, all you need to do is download an app! Perfect for individual, group learning or whole classroom use. The Edutool App is available on Google Play Store and iOS App store.